CAJ has always based its policy stance on international human rights standards. These are contained in global and regional treaties and conventions (known as “hard law”) and in a plethora of standards, treaty body comments, committee of experts commentaries, reports by UN Special Rapporteurs and so on (known as “soft law”). International standards are usually regarded as minimum standards and “soft law” standards can only be treated as advisory. However, all of these documents are the product of international consultation and negotiation and represent the best consensus that those concerned about human rights globally can achieve. They are therefore as authoritative as any international formulations can be in an imperfect world. One of the truly important products from adhering to international standards is that it counters the usual refrain, especially in conflict and post-conflict societies, which says that human rights advocates are supporters of enemies of the state. We have suffered from that in Northern Ireland and many activists still do – if you criticise the state you must be on the side of those who try to subvert it. By sticking to international standards we assert a global norm which transcends the particularities of any given society. CAJ has also sought international solidarity throughout its history, but particularly during the conflict and peace negotiations. We have also, as far as we have been able, tried to give solidarity to our brothers and sisters throughout the world striving for human rights. 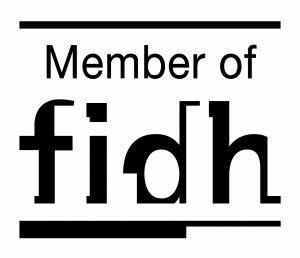 We were a “corresponding” member of the International Federation of Human Rights (FIDH) for many years and in 2016 became a full “affiliate” member. CAJ sends open letter to Colombian civil society groups on eve of President Santos visit to Belfast. This is a short clip of the main findings of a report on ill-treatment in police custody prepared by CAJ for a comparative study led by the Hungarian Helsinki Committee.